Barcode scanners are of different types. These can be heavy handheld scanners which are not comfortable to use in all situations. 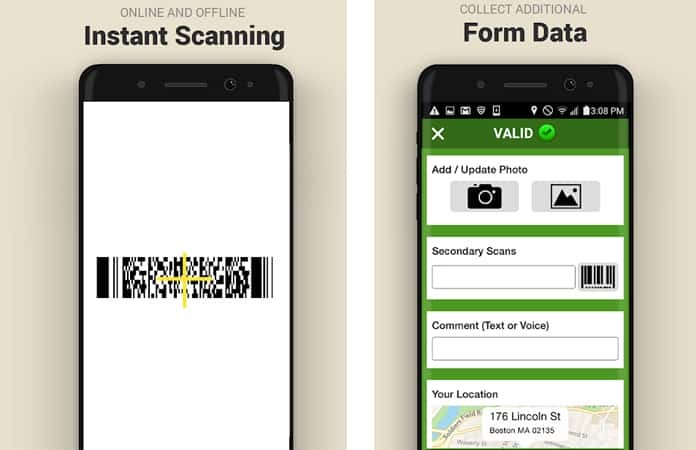 On the other hand, there are several barcode scanner apps for iPhone and Android devices which can do the same tasks for you, as heavy handheld scanners do. These apps are easy to use, and there is no need for monthly or yearly maintenance. You and your employees can use such apps to read the barcode of different grocery and other items to know complete details about them. In this article, we are going to provide you with full details about the best top 15 apps which you can install on your Android and iOS for barcode scanning. 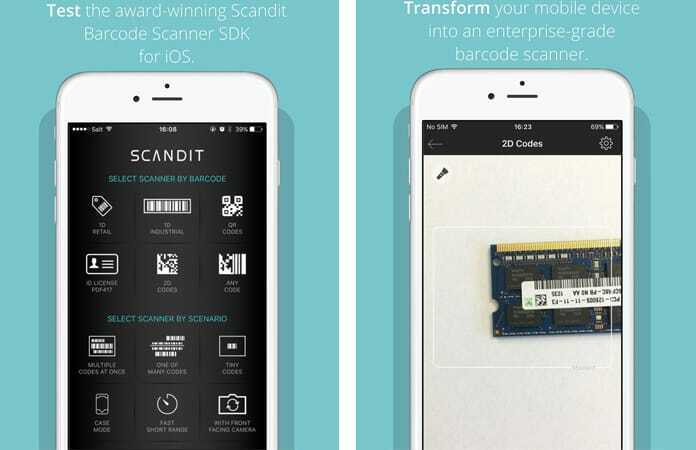 Scandit is a development kit which lets you take full advantages of scanning the barcodes. You can consider it just like an API for developers, and you can use this app for both of your Android and iOS devices. It widely supports symbologies, and you don’t need to worry about autofocus. 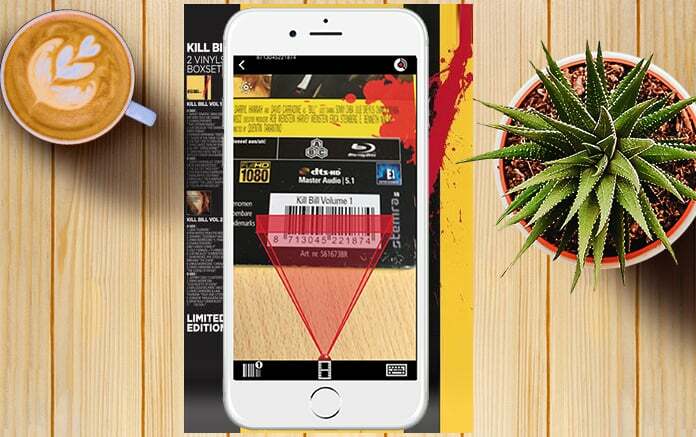 Using this app, you can scan the barcodes from any angle, and you don’t need to worry about the size. 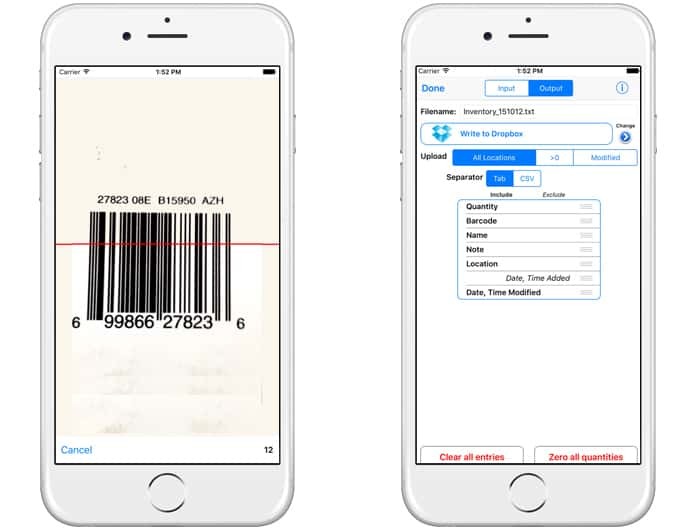 This app works on all sizes of barcodes and provides the exact and precise results. It is a free app for personal use, but you have to pay for commercial use. 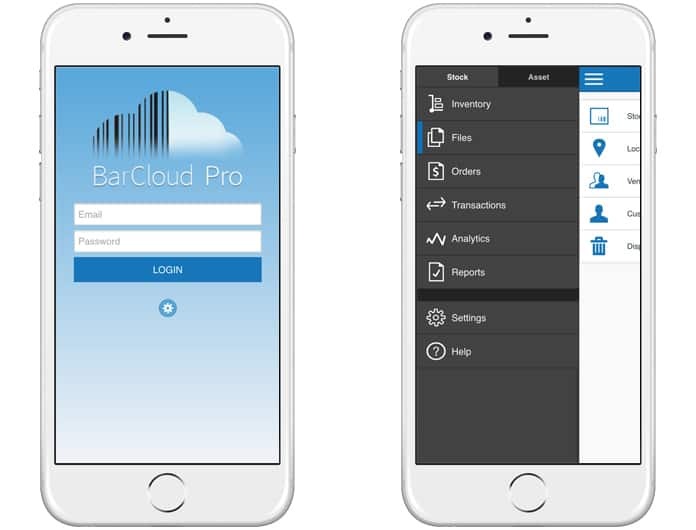 BarCloud is one of the cross-platform compatible apps which you can install on your Android mobiles and iPhones. It is an inventory program which you can use through a browser and as well as using its app. It provides you the complete backup, and you can also set and arrange your custom backups. You can manually enter data or scan the barcodes to get complete necessary information. You are also allowed to use filter options which are helpful to do the required job in limited time quickly. You can export the scanned data in the form of pdf and Excel files to understand the information. Additionally, there are options for low inventory, expiring items and overdue items to manage the record precisely. 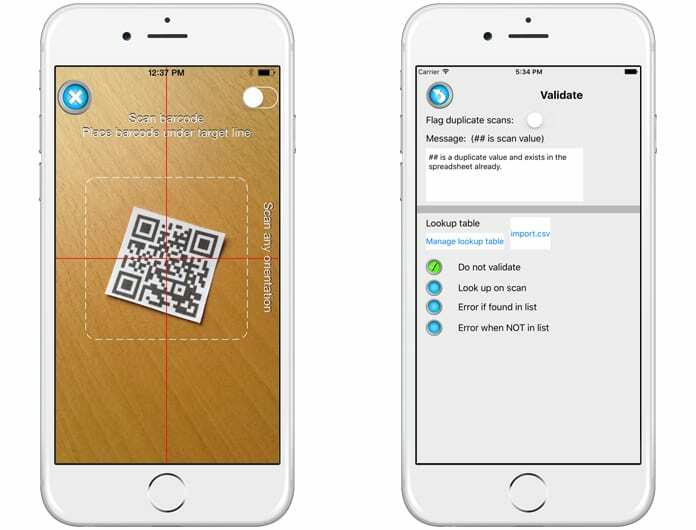 QuickMark is a great app which transforms your smartphones into precise and easily manageable barcode scanners. It can read multiple formats of barcode which increase the popularity and use of this fantastic app. Additionally, you can record item names, locations, URLs, and other information about your needs. In short, it is the high-rated barcode scanner which can email and transfer data quickly. It is a free app which you can use on your iPhone and Android phones. 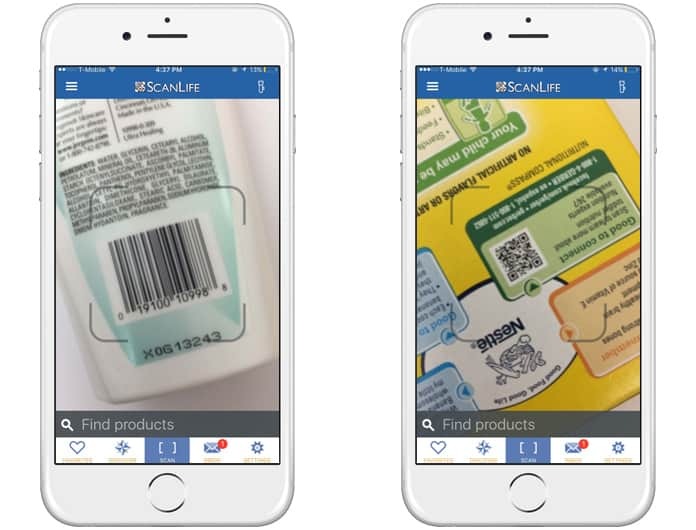 ScanLife is an inventory app which lets you scan QR codes and barcodes on any kind of product. This app is a part of the largest businesses platform and provides you complete details about each scanned product. It is a complete scanning app which is trusted and specifically designed to work by everyone through its easy interface. This app can notify you by an email to you for a reminder for later use. There are also built-in Twitter and Facebook sharing options to use. Among all, the best thing about this app is that it provides the right nutritional information and ingredients details about food products. It is available for basic use at the cost of $25/month. 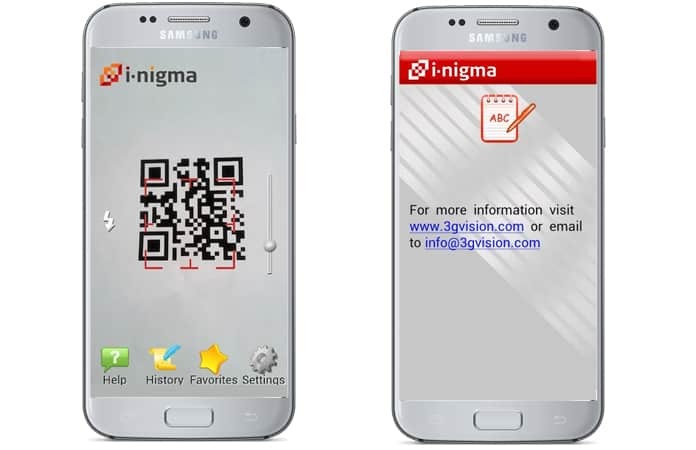 i-nigma Reader is another app which is widely used to scan the barcodes of any kind of products. 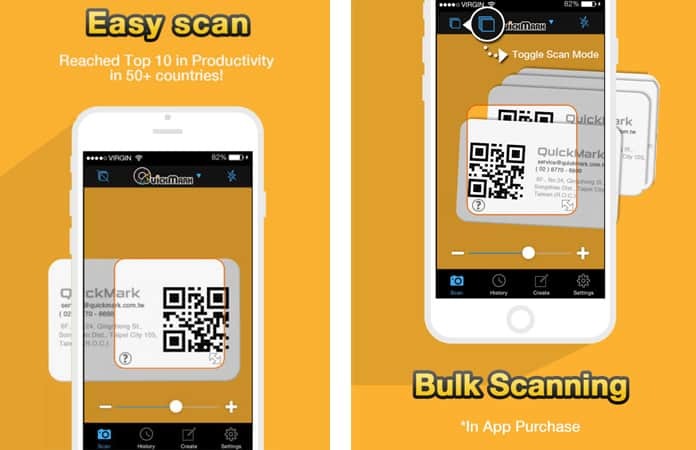 You can make this app as your scanner, and you don’t need to pay a single cent. It is entirely free to use and have a lot of features. You can scan QR, DataMatrix and UPC/EAN codes using this app. You can also share scanned codes through social media, SMS, emails. Even, you can calendar different barcodes for adding various events to your calendar. NeoReader QR is one of the mostly used scanner apps which is used to scan the broadest set of 1D and 2D barcodes and includes Aztec, EAN, UPC, Code 39, QR, Data Matrix, Code 128, PDF 417, and others. The important fact to know that it can automatically detect code type. You can also check and see all scanning history anytime and can create your own QR codes without any cost. What’s more, there is also a built-in sharing option for email, SMS, Facebook and Twitter accounts. 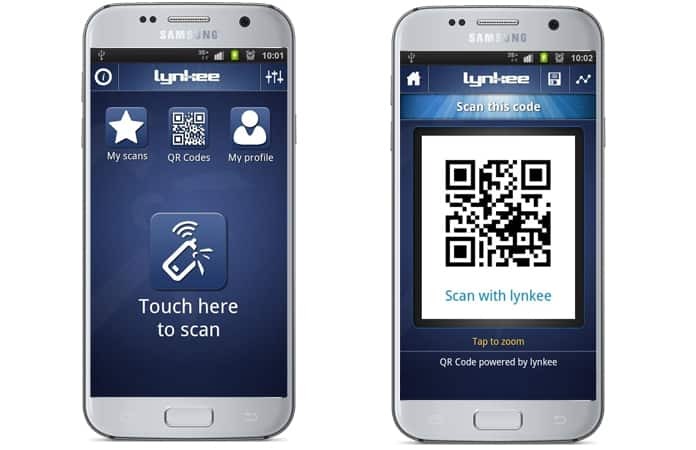 Lynkee Reader is a simple and easy to use scanner app which is used to scan 1D and 2D barcodes. It precisely scans DataMatrix barcodes too and provides you with exact and correct information. You can trust this app and use it for quick operations and get fast scanned results. 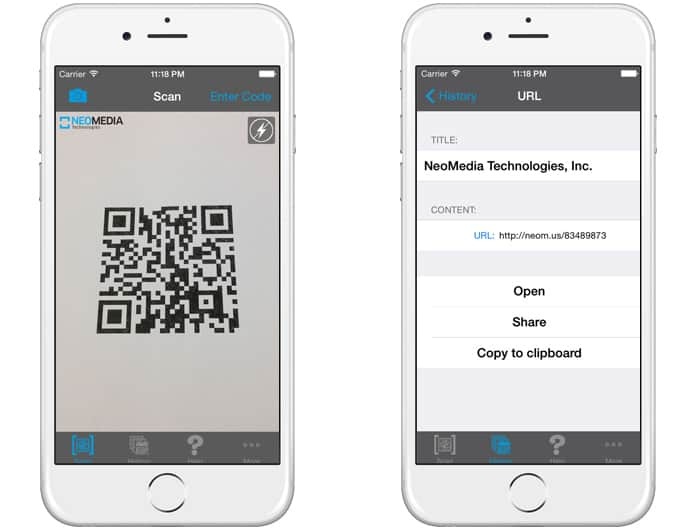 You can quickly generate QR code using this app and also process barcodes from camera, file or webpage as needed. It is entirely free to use, and you can create your profile on Lynkee. BeeTag is a free app which has several options and functionalities in it. 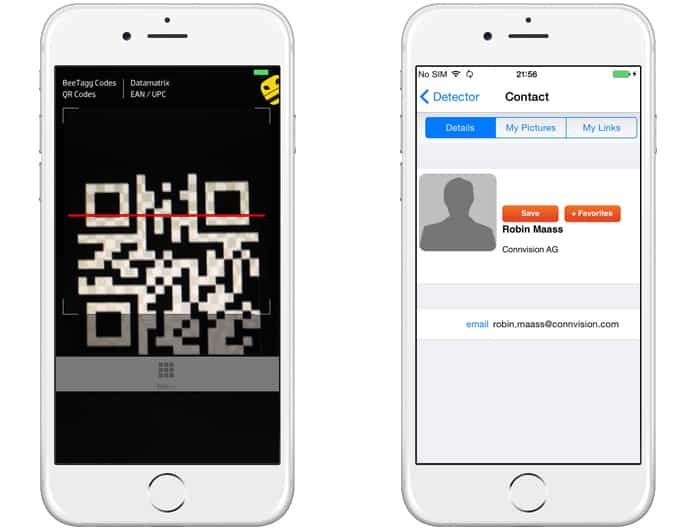 You can use this app for barcode scanning, QR code generation, to check prices of different products and items, contacts management and generating processes, designing and management of personal QR-code business card, and to make exciting and unusual QR codes to use anywhere. Its advantage is that this app can scan and extract more information as compared to other barcode scanner apps. It supports 1D codes including EAN-13 and UPC-A. While its 2D codes are QR Codes, BeeTagg Codes, and Datamatrix. 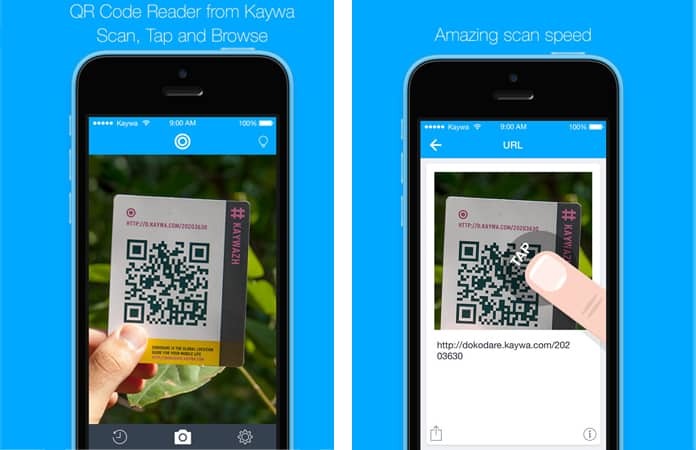 Kaywa is one of the top scanner apps which allows you to scan the food items, groceries and all another kind of other items quickly. It provides the right information, and you can make records of your scanned items. You can consider this app as your free QR code generator. Most users choose this because it automatically detects code type and scans it. You can also take full advantages from its feature of contact cards with landscape mode. You can use this app for free. UpCOde is another scanner app for your Android and iPhone which is in the top list. It provides complete support for 2D, Bidi and 1D (Datamatrix / QR /Ean 8 & 13) barcodes. You can scan supported different barcodes using this app and can also access stuff like images, videos, files, websites. It also supports to create your optical barcodes which increase the worth of this fabulous and useful app. It is a trusted app, and you can use its all features free of cost. Scout Mobile Inventory is an extensive web-based inventory management system. It is available to use on iOS, Android, Blackberry platforms. You can efficiently scan different types of barcodes and also Create transactions which are a plus point. There are also different reporting functions which help you to be aware of various aspects of your interest. You can also manage your tasks and scanned records using this app. It is getting popular, and you can use it for free on your iPhone and iPad. Scan to Spreadsheet is a great app which comes with simple functionality. It scans barcodes and then it can store data in its extensive database to be used when needed. It can also scan the codes and record the information to spreadsheets. You can also use its custom fields for data entry operations. Its cost is $0.99 for Android and $2.99 for iTunes. CodeREADr is a data collection and barcode scanner app which is popular and can scan all types of 1D and 2D barcodes. You can collect different formats of data using this powerful app. There are options for voice and text search. You can enjoy its on-device backup feature to save your scanned record and recover in case of need. It is a free app, and you can set the auto next scan initializing. You will also use the option of multiple choice and short answer options which are very useful for data collection during scanning processes. OnHand BT is an app which is enough to transform your mobile into a trusted scanner. It comes with a built-in calculator which is used to change the quantities after scanning. It can scan almost all type of barcodes and produce the right information and records. You can get User-configurable input and output options which will work according to your set standards. You can input and get outputs with UTF-8 encoded text. It is a paid app. 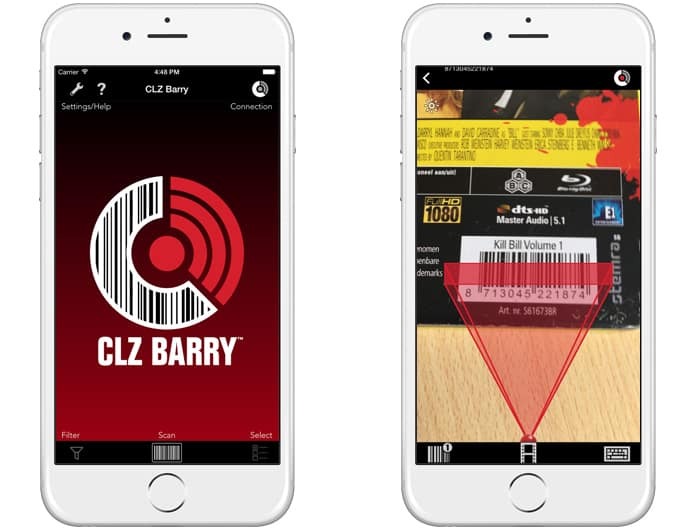 CLZ Barry is considered a fast and user-friendly app which scans your product’s barcodes to provide you the required data. 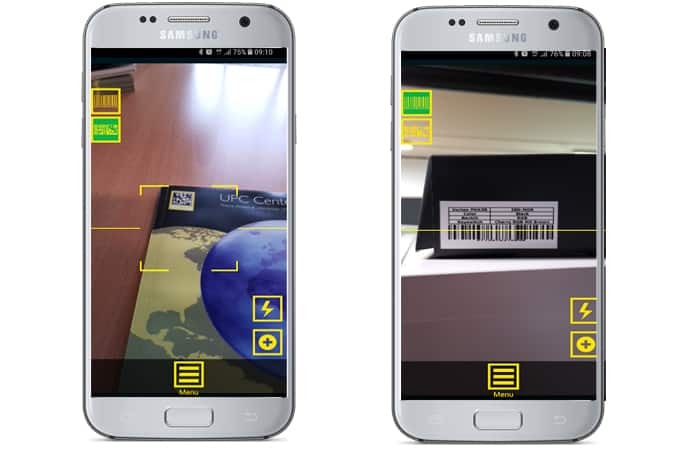 This CLZ Barry app offers complete support and functionalities for UPC, EAN, ISBN, UPC+5 barcodes and QR codes. You can also easily integrate data collection with any program. You can purchase this app for free and use it offline. Additionally, it provides the features of automatic title and image look-up, sending scans in the batch, and feature to target the collector audience. We hope that you liked our list of the best barcode scanner apps for iPhone, iPad and Android devices. So which one is your favorite?